When I first saw the trailer for this film I was sceptical about it but I decided to give it a go and hope to be surprised. 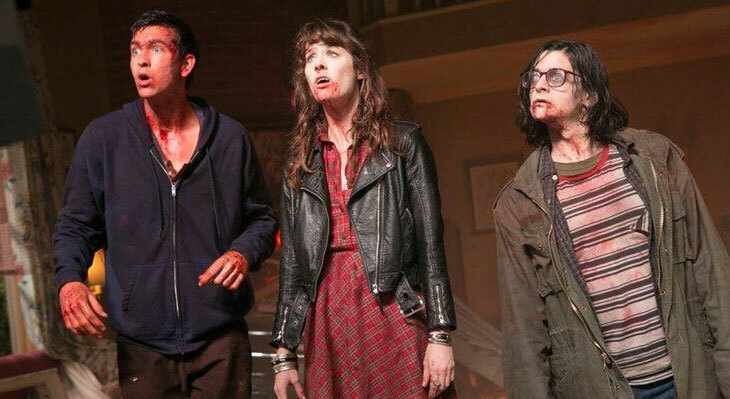 If you're after more Horror than comedy then you've got the wrong film, this is a comedy film with Horror aspects and bits of romance thrown in (isn't there always?!) to help the plot. Now I enjoy a good comedy, there are some great Horror-comedies out there, unfortunately this just isn't one of them. I can honestly say I did not laugh once, not one little snigger. The film has a fantastic cast with the likes of Bob Odenkirk, Patton Oswalt, Joan Cusack and Dennis Leary yet there wasted with little screen time and bad dialogue and the lead cast members are just, well there plain dull. The film is original I will give it that but the idea is so poorly executed that it just ends up a mess on screen and it feels like they played it to safe as there's no redeeming qualities to point out. 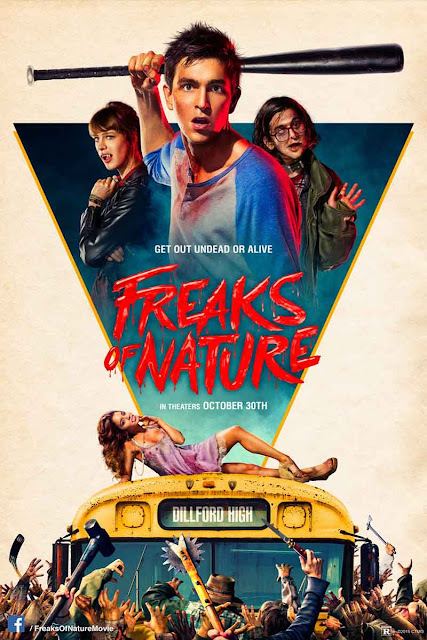 I'm sure "Freaks Of Nature" has it's fans, I'm definitely not one of them and I wouldn't recommend it to anyone. The screenplay for this film was featured in the 2010 Blacklist; a list of the "most liked" unmade scripts of the year. The zombie Dad and mom that are eating the brains are Brian Peck and Beverly Randolph who are famous for being in "The Return of the Living Dead" (1985) in the roles of Scuz and Tina. The wolf logo that can be seen on the wall of the gymnasium is the emblem of the UNM lobos (University of New Mexico). Nicholas Braun and Aurora Perrineau previously collaborated on Jem and the Holograms (2015). Ian Roberts was in Key's show "Key and Peele"